Dr. Wenlin Gong is a distinguishedProfessor of Physics at Shanghai Institute of Optics and Fine Mechanics, Chinese Academy of Sciences, China. 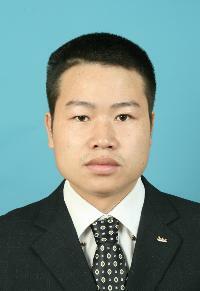 He completed his Ph.D in Optical Engineering from Shanghai Institute of Optics and Fine Mechanics, CAS, China. He has developed a specific interest in ghost imaging lidar and expanded the technique of ghost imaging to the field of medical imaging and far-field supper-resolution imaging.He and his team have invented first 3D ghost images from a single pixel and demonstrate its abilities in high detection sensitivity and decreasing the influence of scattering on imaging quality.His team systemically reviewed the feature of ghost imaging lidar. Dr. Gong has published more than 30 peer-review articles on Applied Physics, Optics, and Imaging including thereputed journals of Optical Physics such as Appl. Phys. Lett., Opt. Lett., Phys. Rev., and Scientific Reports, etc. Wenlin Gong*, and Shensheng Han. High-resolution far-field ghost imaging via sparsity constraint. Scientific Reports, 2015, 5,9280. Wenlin Gong*. High-resolution pseudo-inverse ghost imaging. Photonics Research, 2015, 3(5),234-237. Xiaohui Li, Chenjin Deng, Wenlin Gong*, and Shensheng Han. Ghost imaging for an axially moving targetwith an unknown constant speed.Photonics Research, 2015, 3(4),153-157. Hong Yu, Enrong Li, Wenlin Gong, and Shensheng Han. Structured image reconstruction for three-dimensional ghost imaging lidar. Optics Express, 2015, 23(11), 14541-14551. Wenlin Gong*, Shensheng Han,Single-shot sub-Rayleigh imaging with pixel-limited detection, Applied Physics Express, 2014, 7(6), 062503. Zunwang Bo, Wenlin Gong*, EnrongLi,and Shensheng Han. Multiple-input ghost imaging via sparsity constraints with thermal light, Applied Physics Express, 2014, 7(6), 102501. Enrong Li, Zunwang Bo, Mingliang Chen, Wenlin Gong, and Shensheng Han. Ghost imaging of a moving target with an unknown constant speed. Applied Physics Letters, 2014, 104(25), 251120. Cong Zhang,Wenlin Gong*, and Shensheng Han. Improving imaging resolution of shaking targets by Fourier-transform ghost diffraction, Applied Physics Letters, 2013, 102(2), 021111. Wenlin Gong*,Zunwang Bo, Enrong Li,and Shensheng Han.Experimental investigation of the quality of ghostimaging via sparsity constraints, Applied Optics, 2013, 52(15), 3510-3515. Jie Chen, Wenlin Gong*, and Shensheng Han.Sub-Rayleigh ghost imaging via sparsity constraints based on a digitalmicro-mirror device, Physics Letters A, 2013, 377(31-33), 1844-1847. Chengqiang Zhao,Wenlin Gong*, Mingliang Chen, Enrong Li, Hui Wang, Wendong Xu, and Shensheng Han. Ghost imaging lidar via sparsity constraints, Applied Physics Letters, 2012, 101(14), 141123. Jin Du,Wenlin Gong*, and Shensheng Han. The influence of sparsity property of images on ghostimaging with thermal light, Optics Letters, 2012, 37(6), 1067-1069. Wenlin Gong*, and Shensheng Han.Experimental investigation of the quality of lensless super-resolution ghostimaging via sparsity constraints, Physics Letters A, 2012, 376(17), 1519–1522. Wenlin Gong*, and Shensheng Han.Multiple-input ghost imaging via sparsity constraints, J. Opt. Soc. Am. A, 2012, 29(8),1571-1579. Wenlin Gong*, and Shensheng Han. Correlated imaging in scattering media, Optics Letters, 2011, 36(3), 394-396. Wenlin Gong*, and Shensheng Han. Ghost telescope and ghost Fourier telescope with thermal light, Physics Letters A, 2011, 375(6), 990-993.